Choir has contributed so much to my spiritual development, and I don’t think I knew it at the time. It has come to me over the years. I think there is something about singing sacred music and scriptures that makes them a part of you in a deeper way than simple reading of the scriptures… And singing on tour, some of the most powerful moments came when we were tired, and we had to depend on each other and on Doc to hold us together. There is something very powerful about the community that forms when we work so hard toward a common goal. Ninety years ago, the choir began in 1927, under the direction of Dr. Robert Woods, one of the first graduates from Dayton Westminster Choral School. Dr. Woods led the choir for 30 years until he retired in 1957. The following year, Dr. James E. Wilson took over as director, faithfully leading the choir for the next 39 years, followed by Dr. Jeffrey S. Wilson. Current students and alumni alike praise the scholarship and excellence of both Dr. James Wilson and Dr. Jeffrey Wilson. The Martins said, “We’ve been so blessed to have had the leadership of the two Wilson doctors as directors (as well as several others in church choir).” During a brief sabbatical as Dr. James Wilson pursued his doctorate degree, Joe Noble (1964-1965) and Paul Vanderkoy (1970-1972) conducted the choir as interim directors. Dr. James Wilson and Joe Noble attended the homecoming weekend to perform in the combined choir during the homecoming festivities. Dr. James Wilson, a Greenville resident, also returned to direct one of the pieces at the combined choirís homecoming concert. When asked why he continues to be involved with GC Choir, Dr. James Wilson said, “It is my preparation and my profession. I enjoy doing it… Many students are heavily involved in sports throughout their college experiences. Science students spend many hours in science labs. Students who can read music, who played in high school choir or band, who have had piano lessons, can be involved in choir and will likely continue for life with a church choir or community chorus. 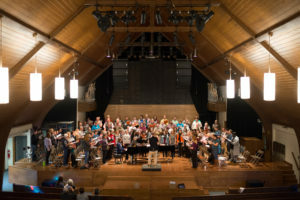 Itís great satisfaction to continue; to work with friends and meet new friends in a community chorus, even beyond a church connection.” Indeed, GC Choir members often continue singing in recreational or professional settings post-graduation. Many alumni return annually for the choir’s performance of Handelís Messiah; some alumni have been participating in the performance for more than 50 years. Currently, the Greenville College Choir is under the direction of Dr. Jeffrey S. Wilson. He began directing the choir in 1996, and has grown the program to include international touring. Past tours include overseas trips to England, Central Europe, and most recently Ireland in 2015. On how the choir has developed during his time as director, Dr. Wilson said, “I was fortunate to inherit a rich choral tradition. Our college has been blessed to have diligent and gifted conductors, talented and committed singers, and faithful and supportive alumni and friends of the choir. It has also meant developing perseverance in tough times. The choir has been our primary ministry over these last twenty years and God has continued to reaffirm this calling upon our lives, but this hasn’t always been easy. The workload has been heavy. Sometimes there have fiscal challenges and personal disappointments. At times I’ve become discouraged. But through it all, God has been faithful to transform me, and guide me, and strengthen me for His purposes. It has meant deep joy in worship and the beauty of Christ’s Body. It has been a joy to get to know and work with hundreds of students and make beautiful music that continues to positively shape people’s lives around the world. We have had many wonderful worship experiences together in rehearsals, concerts, church services, and spontaneous performance situations. Traditionally, homecoming weekend is the choir’s first public performance, kicking off the new concert season. This year was especially unique, however, because the choir premiered a commissioned piece by award-winning Philadelphia composer Kile Smith, titled “Oh Thou Who Camest From Above,” in honor of the 90th anniversary. 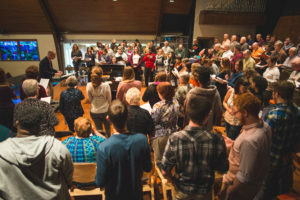 Befitting for the college’s Methodist roots, the words of the piece were originally written by Charles Wesley and set to a tune by his grandson, Samuel Sebastian Wesley. 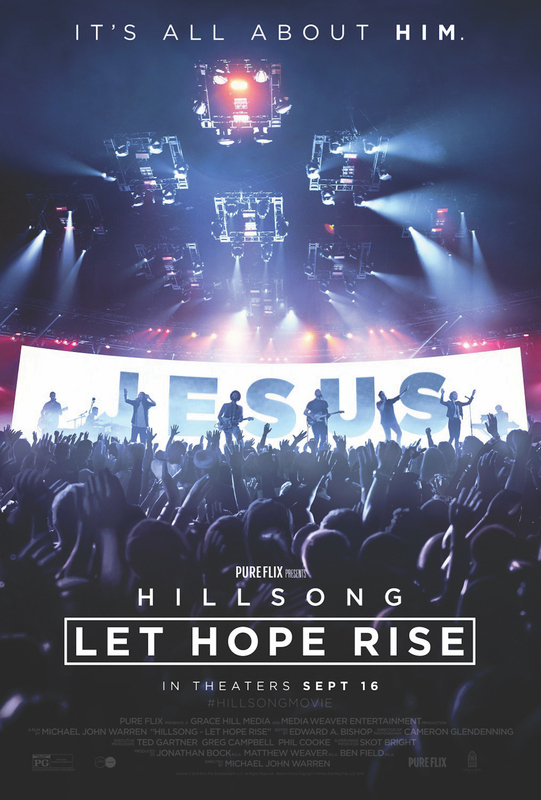 Kile Smith brilliantly arranged the piece with a brand new opening based on Leviticus 6:13. 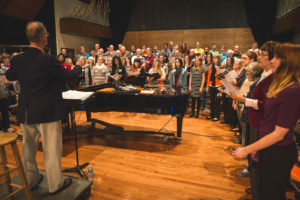 His unique spin on the original hymn includes new re-harmonization, and the GC choir has the opportunity to be the first choir to perform the piece. Kile Smith was the visiting composer for the Schoenhals Fine Arts Symposium in the spring of 2016, beginning his relationship with Greenville College and the choir. The choir hopes to return the visit by performing for Kyle Smith in his hometown of Philadelphia during an East Coast tour in spring of 2017.